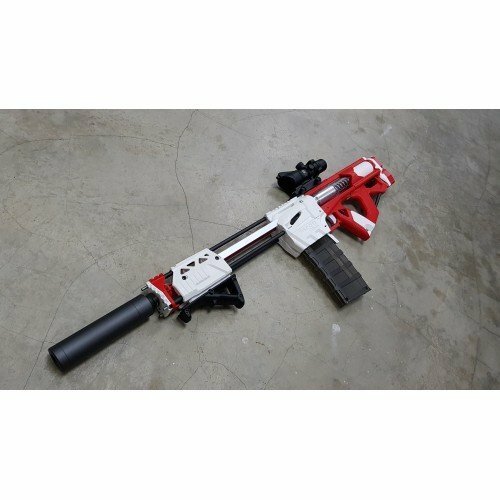 One of the most well known blaster within the community, designed by none other than Captain Slug himself, the caliburn is a 3D printed blaster made with hardware store parts. 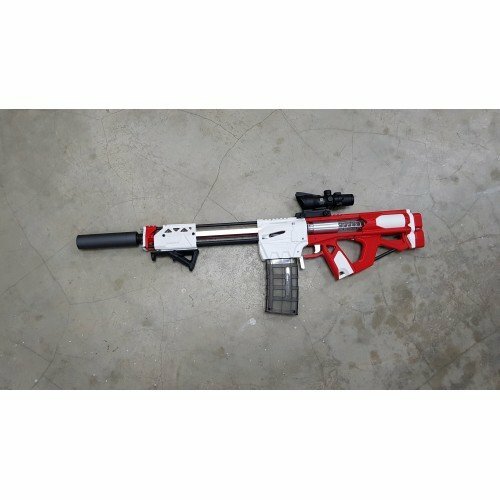 The blaster have been around for quite some time and this is a variant of Caliburn made and packaged by Worker/F10555. 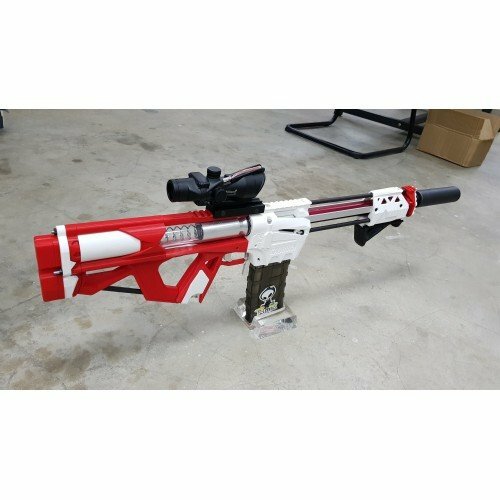 What's fantastic about Caliburn is not just that you can replace any broken part with just a 3D printer, as a blaster, it's capable to fire both full length and stefan/short length dart. The Workerr Caliburn came with quite a beefy spring and clocks in about 240FPS on stefan and 210FPS on full length which is impressive numbers against the like of Prophecy or even Longshot. 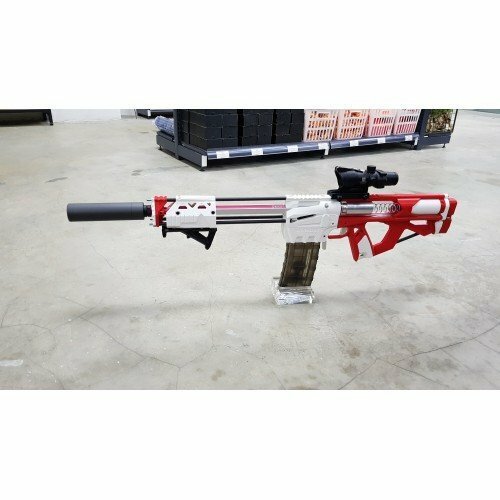 The versatility and the flexibility of Caliburn makes it one of the most sought after printed blaster in the market right now. This kit contains all you need to complete the blaster build. The picture shown is using metal upgrade kit which we strongly suggest as some of the high stress parts are replaced with metal parts instead.